The dental office of Dr. David Feeney, your Matthews, NC dentist, places innovative dental implants for one or multiple teeth lost to decay, gum disease or oral injury. Preferred over traditional tooth replacement options, such as fixed bridgework anchored to neighboring teeth or partial dentures held in place by clasps, dental implants join to the patient's jaw bone for a secure, long-lasting foundation. 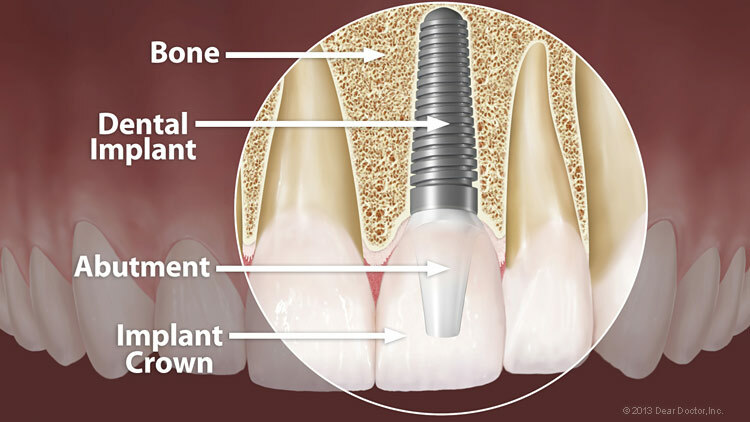 A dental implant most often takes the form of a small, screw-shaped titanium post that replaces the root-part of a missing tooth. The surgical procedure used to place an implant is actually quite minor and routine, requiring only local anesthesia in most cases. 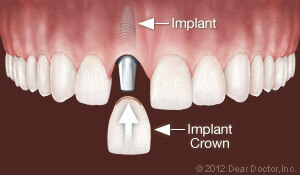 After a healing period, the implant is topped with a lifelike crown custom-made to match your existing natural teeth. Implants have a documented success rate of over 95%, which is significantly higher than any other tooth-replacement option. 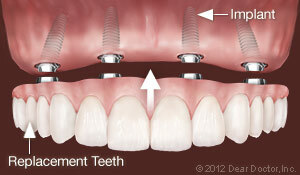 What is Dental Implant Like? Dr. Feeney performs a simple in-office surgery to secure the device. Usually using just local anesthesia to numb the area, Dr. Feeney incises the gums and drills a small hole into the jaw bone at the implant site. He screws the device in place, making it flush with the bone. He sutures the area closed and sends the patient home for a period of healing. 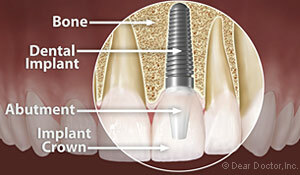 Usually, dental implant surgery has a second stage--placement of the abutment and crown. 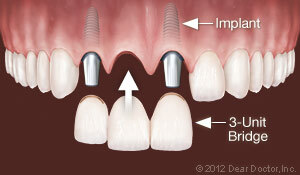 However, sometimes the dentist places the abutment right along with the implant device. Dr. Feeney determines the kind of surgery necessary based on patient need. Facing Tooth Loss in Matthews? Or are you already missing one or more teeth? It's not too late to get a dental implant surgery consultation with Dr. David Feeney in Matthews, NC. Older teens through adults in their senior years enjoy the benefits of strong, natural-looking teeth with dental implants. Dr. David Feeney, DDS in Matthew, NC can help with dental implants. Call us at (704) 847-1000 to learn more!